Yesterday, July 19, was the sesquicentennial of John Hunt Morgan’s fight at Buffington Island, OH (see here.) One of the lesser known incidents of that fight was the death of “Judge” Daniel McCook, Sr., who sired no less than four Union general officers. Brother John provided two more. 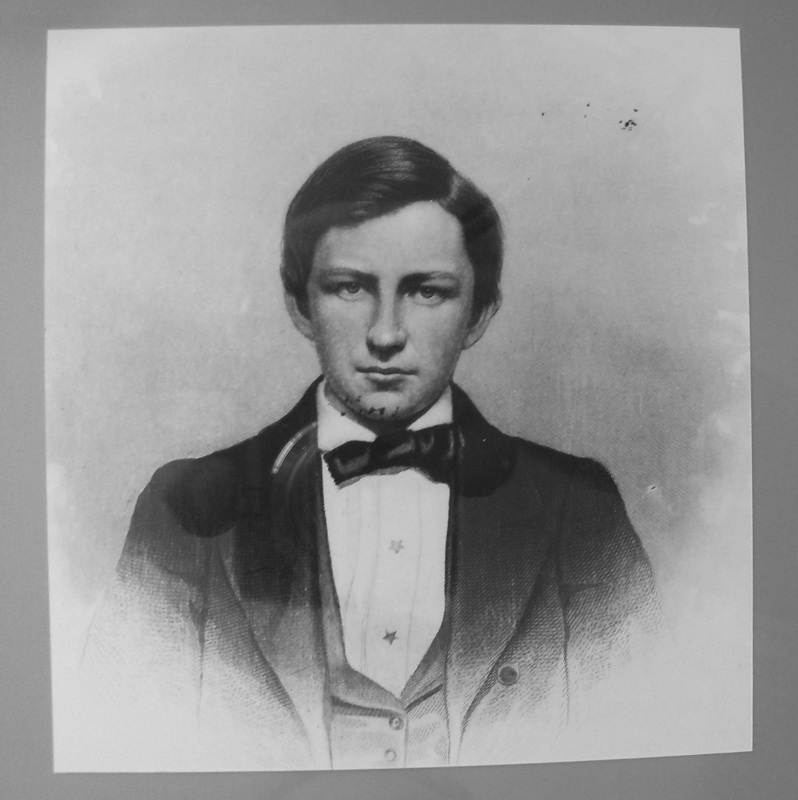 In fact, brothers George, John and Daniel gave 14 sons to the war effort – together the clan was known as “The Fighting McCooks.” Daniel was among the civilian observers at First Bull Run, and while the experience was likely harrowing for many of them, perhaps none were as affected as the Judge. There were McCook’s aplenty scattered about the plains of Manassas on July 21, 1861, including Daniel’s young son Charles, a private in Company I of the 2nd Ohio (nephew Anson was a captain in the regiment as well, and son Alex was colonel of the 1st Ohio.) Charlie, eighth of Daniel’s nine sons, was serving off the line as a guard at the temporary field hospital set up at Mrs. Spindle’s farm on the north side of the Warrenton Turnpike between Cub Run and Bull Run. Early in the day the site seemed so safely removed from the action that father and son had lunch together. Sometime after noon the Judge determined he wanted a better view of the action and moved west along the pike. A few hours later, all hell broke loose. Daniel was swept east with the waves of retreating Yankees. He wrote in a letter to his son Robert five days later that he came upon a wounded Charlie being beaten by a mounted Confederate cavalryman with the flat of his sword. Someone shot the rebel, and Daniel carried his son to the field hospital. Assured by doctors there that it was safe to move him, Daniel loaded the boy into his carriage and headed east. Despite Charlie’s pain and pleas to stop, Daniel pressed on to Fairfax Court House. There, a doctor removed the ball from Charlie’s back and pronounced the wound fatal. As was common in those days, Daniel broke the news to the boy. Together they awaited the end. The medical staff moved on toward Washington. About 2:30 on the morning of July 22nd, in a bed shared with his father, Charles McCook died. He was eighteen years old. That wouldn’t be the last time in the war death visited Daniel McCook’s family. Down in Alabama son Robert, a brigadier general, was killed in August, 1862. Some say he was murdered by “guerilla” Frank Gurley in the act of surrendering, while others claimed his wound was received during a skirmish with the 4th AL Cavalry in which Gurley was a commissioned captain. Shot in the stomach, Robert suffered for a full day before succumbing to his wound. The “guerilla” version of events won out in the North, and the outraged Judge became obsessed with enacting revenge on Gurley. He acquired a new Henry repeating rifle (pictured above) to help with the job. 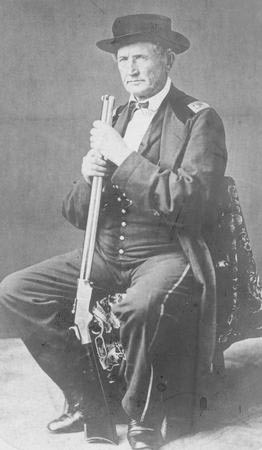 In July 1863 he thought he had his chance, as Morgan’s band of raiders moved through McCook’s home state of Ohio (he was a native Pennsylvanian.) 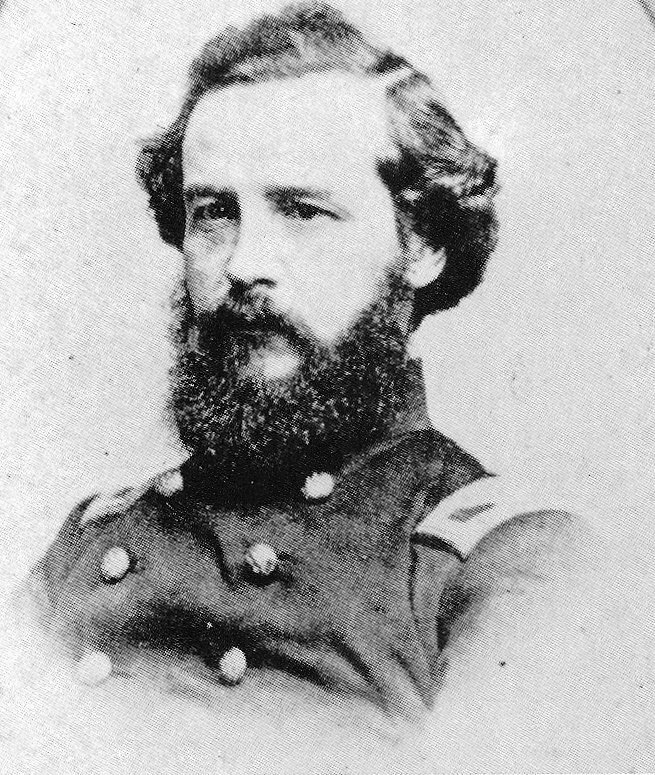 The now Major McCook, a paymaster in the Army of the Ohio, hitched along with a cavalry detachment under Brigadier General Henry Judah in pursuit of the raiders with whom, it was rumored, Gurley was riding. Morgan’s band was brought to ground in Southeast Ohio on July 19, 1863, where they attempted to re-cross the Ohio River at Buffington Island. The 65-year-old Judge grabbed his Henry, mounted up, and joined in with the advance troopers, who came upon the enemy unexpectedly in a fog. 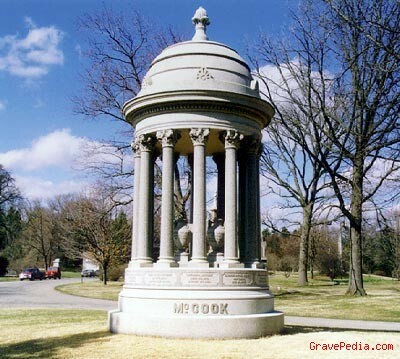 McCook, like Robert, was shot in the abdomen. He lingered more than two days, and died on the evening of July 21, nearly two years to the hour after he had felt the life leave the body of Charlie. For more on the McCooks, see Charles and Barbara Whalen, The Fighting McCook’s. *Gurley was captured later in 1863, imprisoned, tried for McCook’s murder, convicted and sentenced to death, mistakenly exchanged, arrested again after the war for imposition of sentence, released, and lived a long life. For a detailed and different account of his career, see here and here. As we are in the midst of the sesquicentennial of the assault on Battery/Fort Wagner outside Charleston, SC, you can find a lot of new articles, posts, and opinions on the web right about now. Some of them are even concerned with what actually happened there. For a good example of this, see this post from Craig Swain. 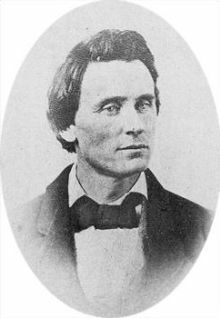 If you’re a true First Bull Run geek (I’m not sure there are more than two of us, though) you’ll see a link to our little battle in Craig’s post: the name John Chatfield. This is the same John Lyman Chatfield (at left, from Hunt, Colonels in Blue: The New England States) who was the colonel of the 3rd CT in Erasmus Keyes’s brigade of John Tyler’s Division. At the assault on Wagner, he was in command of the 6th CT of George Strong’s brigade, and was mortally wounded, as was Strong. You can read more on Seymour’s death in Colonel Chatfield’s Courage, or A Share of “Glory” . To-day 3 years ago (Ap’l 12th & 13th 1861) the Yankees fired on Ft. Sumter – the inauguration of the war of invasion of the South & its people. Yikes! JP happens to have been a very well educated and eloquent young man who had attended the University of Virginia. His entries give valuable insight not only into how he viewed the war historically as it happened, but also his views on the prospects for peace and from whence it was likely to come (right now, he’s hoping for a third party to take power in the North.) I know of no other collection like this. Check it out. I was surprised and saddened to learn, from the use of the word “late” in a Dimitri Rotov comment to a post on Kevin Levin’s blog, of the passing (in March of this year) of Russel M. Beatie of Savas Beatie publishing. I could find no mention of his death on the web, but was able to confirm it via his associate and friend Ted Savas, who wrote a eulogy in the Savas Beatie July newsletter, which you can read in its entirety here. Below is an excerpt. 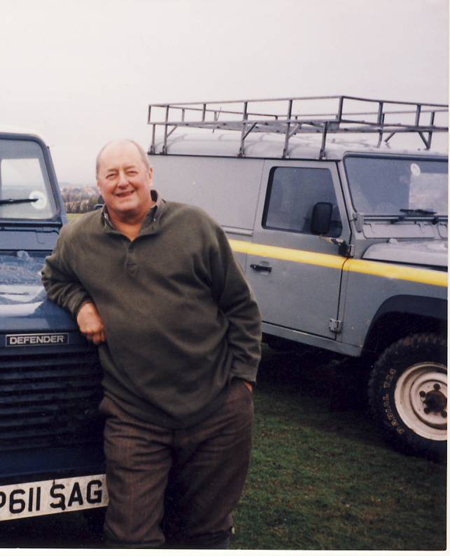 The photo at left was taken on a hunting trip to Scotland and is courtesy of Savas Beatie. It is with tremendous sadness that I share with you that my publishing partner and good friend Russel H. “Cap” Beatie passed away recently. Cap didn’t want a long eulogy or extravagant send-off. That was not his way. So these few words will have to do. Reviews of the AotP series have been mixed at best, and savaging at times. To be sure, there were definitely problems with the first volume (the only one I’ve read cover-to-cover, though I’ve used all three.) But I’ve never been one to throw out the baby with the bathwater. Who else has pointed out that two of the regular army officers whose experience and advice Robert Patterson was advised by Winfield Scott to rely on in the Valley were the super-aggressive Fitz-John Porter and George Thomas? No one else has been able to communicate to me the complexity of the political and military intrigues at Washington during the period leading up to Bull Run. And his annotated bibliographies! That’s good stuff (I understand plans are afoot to publish a consolidated bibliography from the three completed volumes.) Mr. Beatie approached his research and writing from a different angle than most everybody else. Sometimes he missed, sometimes he made solid contact, but he always made me think. 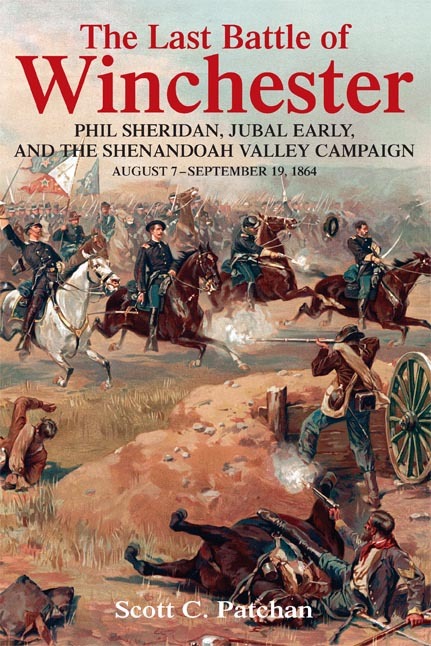 Savas Beatie continues its summer 2013 deluge with Scott Patchan’s The Last Battle of Winchester: Phil Sheridan, Jubal Early, and the Shenandoah Valley Campaign, August 7 – September 19, 1864. Mr. Patchan is the author of a number of works and is a frequent guide through the Shenandoah Valley and elsewhere. While one might suspect from the title that the this is a somewhat narrowly focused, and shorter, book. Such suspicions are misplaced in this instance. Last Battle weighs in at 474 pages of text (including foot, not end, notes), with 33 pages of OOB and strength info. The bibliography reveals that Patchan consulted a very respectable number of non-published archival sources from across the nation, and leans very heavily on participant accounts. Proof-reading and copy editing can make or break a book – I’ve been fooled before. I haven’t had a chance to read enough of this to get a feel for that end of it, but preliminary indicators for Last Battle overall are positive. It’s definitely worth a closer look. 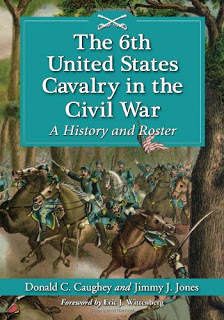 A recent release from McFarland is The 6th United States Cavalry in the Civil War: A History and Roster, by Donald C. Caughey and Jimmy J. Jones. Jones is an active duty U. S. Army officer who served two tours with the modern day 6th U. S. Cavalry, and Caughey is a retired U. S. Army officer who hosts Regular Cavalry in the Civil War. From a modern perspective and the standpoint of lineage, these guys have the pedigrees. The first 134 pages of the book cover the regiment’s Civil War service, with particular attention paid to its troubles at Fairfield in the Gettysburg Campaign. Another 114 pages is devoted to an biographical roster from James Oscar Ackerman to Henry Zimmerman. The bibliography cites mostly published works, but also newspaper and manuscript sources which the notes indicate were consulted frequently. Illustrations are light and not too surprising, but the maps are clear in typical Steve Stanley fashion.